Cancer care in Eastern Ontario is about to be personalized – and expedited. A new lab giving patients access to the latest experimental cancer therapies means test results, which used to take six weeks, will be reduced to two days and patients can begin treatment sooner. 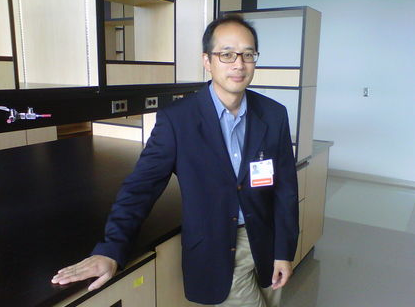 “I think it’s going to have both immediate, as well as long term, impacts for the people here in the Ottawa region,” said Dr. Bryan Lo, a star research geneticist who has joined the team at the Ottawa Hospital’s General campus (TOH). Lo said he’s excited to be part of a new venture. He has returned to Canada from California, where he was in the research department at Genentech, a leading biotechnology company. Lo is heading TOH’s new molecular oncology diagnostics laboratory, treating and studying the genetics of cancer. Patients will have access to leading-edge cancer care. Molecular genetic testing, for example, is currently conducted offsite. “One of the first things we’ll be able to do when we set up the lab is have the testing done here, and as such, we’ll be able to improve upon turnaround time,” Lo said. Last year, 24,000 cancer patients were treated at TOH. An estimated 9,000 people in the region are diagnosed with cancer annually. Lo expects the lab, temporarily housed at the General, to open in September. But funding is still needed to build a permanent lab, and the hospital’s foundation is halfway to its $3-million target. Doctors will be able to order multiple testing for different genetic mutations, instead of waiting for results from one test then reordering more. The overall goal is improving detection and control of all cancers with more precise treatments, such as determining which medications will yield the best results for patients. “Targeted and customized therapies can be more effective at shrinking cancer tumours and reducing side effects and recurrence,” said Dr. Diponkar Banerjee from the anatomical pathology department. It’s the third lab of its kind in Canada to use the most advanced genetic analysis technology – next generation sequencing – to analyze patterns from large groups of genes or proteins. Identifying the origin of cancer using blood samples, said Lo, instead of invasive techniques such as biopsies is one of the possibilities. “It’s really about improving the treatment of cancer,” Lo said. Two in five Canadians are expected to develop cancer.